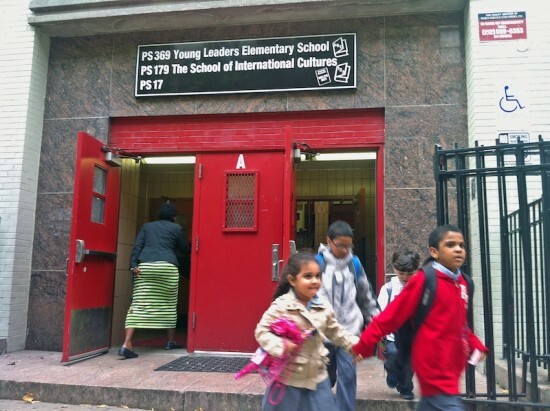 The Young Leaders Academy on E. 140th St. is among four schools the city’s DOE is threatening with closure. Four Mott Haven schools are at risk of closure after the city’s Department of Education included them on its recently released list of low-performing middle and elementary schools. MS 203, PS 154, the Young Leaders Elementary School and Mott Haven Academy Charter School were among 36 schools citywide that must now begin “an early engagement” process to try to avoid shutdown. The Department of Education publishes a Progress Report card for each school annually, grading schools on students’ progress, state testing results, attendance rates, the performance level of special education students and overall school environment. Schools that receive an F, D or Cs in three consecutive years on their report cards are at risk of shutdown. The four Mott Haven schools could be closed by 2015 if they fail to show significant improvement. 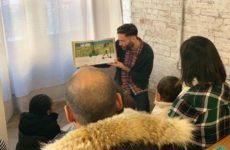 But under “early engagement,” they also have a chance to turn around after public meetings and discussions with parents. The United Federation of Teachers expressed skepticism about the DOE’s grading process. In a written statement, the union’s president, Michael Mulgrew, said the city “depends almost completely on standardized tests, and its ‘engagement’ process does little or nothing to help struggling schools improve. The DOE did not respond to requests for comment. Middle School 203 on Morris Avenue was given a D, down from a C last year, although its scores went up in the latest Progress Report. The grade fell because the Department of Education had changed its scoring system. This is the third consecutive year that MS 203’s rating has declined. Public School 154, the Jonathan D. Hyatt School, on E. 135th St., received an overall F grade on the latest report, five critical points down from the previous year when the school received a D. The school falls in the bottom two percent of all reports citywide. PS 154 had a change in its administration when Alison Coviello replaced Marsha Elliott as principal earlier this year. Coviello declined to comment. Tesla Lacayo, whose five- and- ten-year-old children are both students at PS 154, hopes the school can turn around. 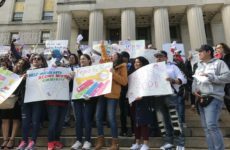 The city gave the school a “focus” status, which means representatives from PS 154 and DOE officials will convene to discuss the school’s problems and needs. The school will then receive targeted and tailored solutions directed to improve its performance. PS 369, the Young Leaders Elementary School on E. 140th St., opened in 2008 to replace another long-troubled public school. The city has given the school a D every year since 2009. Young Leaders failed both its student progress and performance reports, and students failed to show improvement on state tests, although the school received a B for overall environment and showed a slight increase in its attendance rate. Ebony Rosario, whose four-year-old attends the elementary school doesn’t understand why its grades are so low. The Mott Haven Academy Charter School on Brown Place showed overall progress since its previous report, but received a D, same as a year ago. 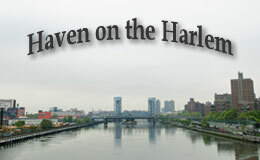 Mott Haven Academy opened in 2008 to provide children in foster and preventive care with “a unique learning experience tailored to their needs,” according to the principal, Jessica Nauiokas. The Progress Report indicates the Academy is improving, and Nauiokas is optimistic about the school’s future. 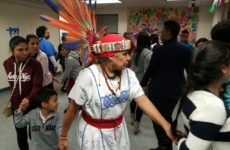 “After implementing changes to our curriculum and based on recent test scores in the early grades, we are confident we have turned the corner and have a bright future ahead of us,” she said.